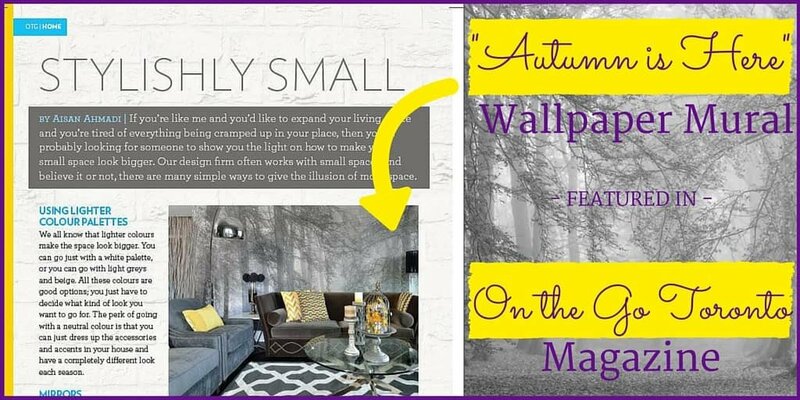 My wall mural, Autumn is Here, is featured in On the Go Magazine! 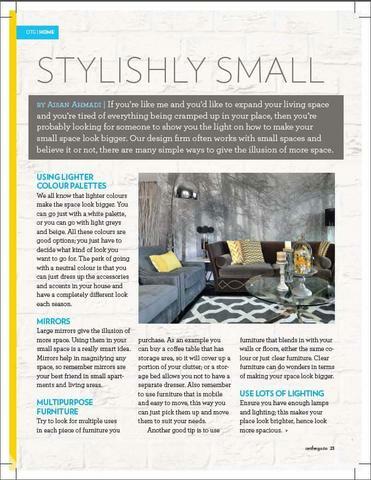 The article is called Stylishly Small. It’s all about how to make a small space look bigger – in a really stylish way – with wall murals. Adding a mural into a small space might sound risky. But there is a reason it works so well…especially this tree mural. 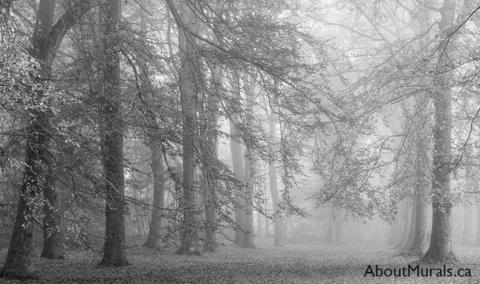 It leads your eye down a path of trees, so it makes the room look way bigger. Like there is a huge space to walk into a forest. So it totally opens a wall up…and the room too. This neutral mural is light and airy feeling, which is another reason it works so well in small spaces. And Aisan must know what she’s talking about! 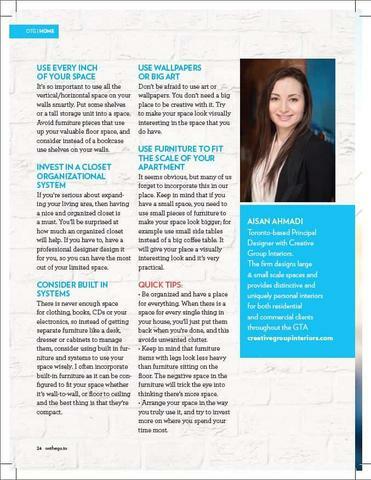 She’s the Principal Designer at Toronto’s Creative Group Interiors. I’d love to hear your opinion on using wall murals in a small space. Do you think it’s risky? Does it depend on the colours or theme or the person’s personality? Share away in the comments below!